Cardi B attends the 2018 GQ x Neiman Marcus All Star Party at Nomad Los Angeles on Feb. 17, 2018, in Los Angeles. 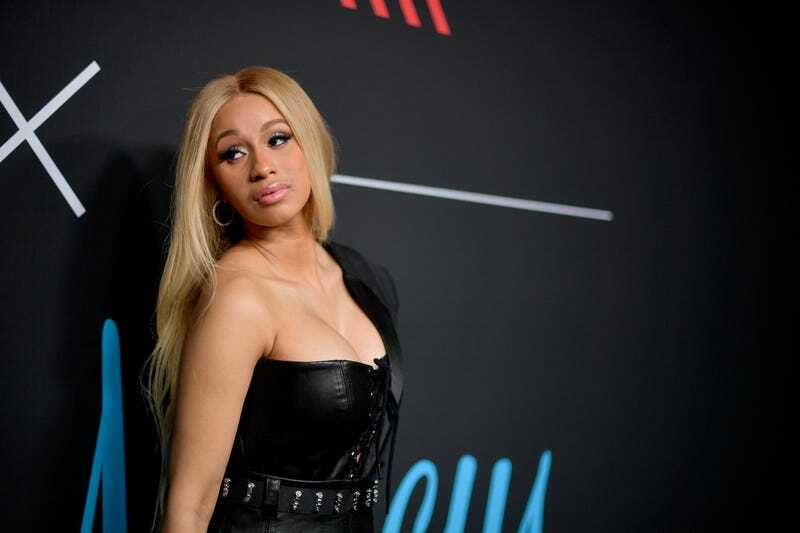 “Money Bag,” indeed: Cardi B continues to make money moves, riding her wave of success into multiple streams of income like a true G. This week, it was announced that—aside from Cardi’s pregnancy—we can expect another bundle of joy from the entertainer; she’s teaming up with fast-fashion fave Fashion Nova to bring us regular, degular, shmegular, accessible fashion via Cardi B x Fashion Nova, due out in October. The upcoming collection is Fashion Nova’s first collaboration and will feature 80-100 pieces designed by Cardi B herself, ranging from jeans and dresses to outerwear. Personally, we can’t wait to find out what shade “Bodak Yellow” really is.